The postpartum support belt provides gentle, firm belly support after you have had your baby. Helps you to regain your pre-pregnancy shape through supporting the tummy. Compression supports weakened abdominal muscles following childbirth giving you extra comfort and protection whilst your abdominal muscles heal. Flattens the tummy and gives you a better shaped waistline instantly. The support belt will help you return to normal activities sooner. Invisible under clothing for a completely discreet look. Especially recommended if you have had a c-section. This fits any size between a 28-34 inch waist, use the adjustable strap to tighten or loosen as you require. Our Lower back support belt has been specially made to help relieve lower back pain by correcting your posture and easing strain and pressure off your lower back. Sometimes it can be a daily struggle and a challenge living with back pain , however, we have developed a new back support designed for superior and lasting comfort and rehabilitation of the afflicted area. This back support is a specialist orthotic device designed for relief from lower back pain, to improve posture and to aid rehabilitation of the lower back during physiotherapy or after surgery. This lower back support can be worn help to treat and prevent a number of lower back injuries including Sciatica, Slipped discs, Facet syndrome as well as Degenerative disc disease. The support works by applying fairly firm and even compression around the lower back providing much-needed comfort and support. By holding your posture the support can also act as an injury prevention and treatment device. 20 Magnets strategically placed around the lower back to deliver warmth and magnetic therapy. 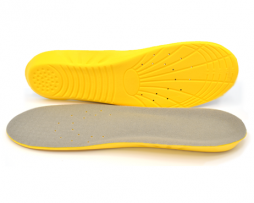 Orthotic compression supports your lower back in the correct position and helps to ease pain and boost injury recovery by increasing blood flow. Lightweight and discrete to wear. Fits all sizes with adjustable neoprene strap. Looking to lose fat and gain muscle in the new year? Can’t afford the gym fees and perhaps you don’t have a lot of time to workout? Busy and always on the move? Our resistance bands smash through these excuses so now you can get fit this year. Designed to be extremely versatile and portable, you can take these resistance bands anywhere and get a high-quality workout. Resistance: 30lb each – 90lb in Total. Welcome to Nuova Health.co.uk – Working Hard to Improve Your Health! Here at Nuova Health, we are on a mission to restore and improve the health of the UK and the rest of the world. 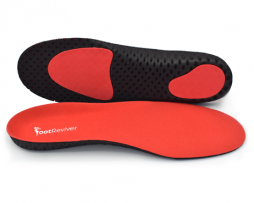 We provide industry leading orthotics, physiotherapy supplies, rehabilitation equipment and other health accessories designed to either prevent injury, treat injury or improve sporting performance, boost health and wellbeing. Browse our store for the latest products at the best prices. 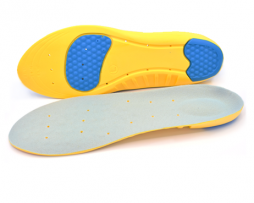 Some of the leading lines we supply include arch support insoles for plantar fasciitis relief, height increasing insoles for leg length discrepancy and cosmetic enhancement, sports and running insoles to prevent injury whilst running and arthritis gloves to reduce pain and inflammation from arthritis in the hands so you can go about your daily business without discomfort. We provide plenty of free information for you, if you are looking to find out more about your health related issues, get the latest health tips, get advice or more information about our products then we suggest you read our blog. Whilst our blog is highly informative, the information we provide is designed to complement that already provided by your doctor or physician and in no way constitutes a replacement for advice from a trained professional that can see your condition and diagnose and treat you in person. Nuova Health are committed to getting your product to you as fast as possible. All products ordered before 3PM are dispatched the same day, using Royal Mail first class delivery, usually leading to you getting your product the very next day. International delivery is via Royal Mail AirMail with orders to be expected to arrive between 3-10 working days depending upon where you are from. The EU generally receives items within a week, US, and America within 2 weeks. All orders are processed via PayPal, this is the easy and secure payment method that accepts most credit cards and you do not even have to create an account to use PayPal. PayPal comes with its own buyer protection scheme to provide you with peace of mind when ordering online. NuovaHealth are extremely proud of the quality of the products we sell and we rarely do get asked for refunds but in the event that the product does not meet your expectations then simply send it back and we will send you a full refund. No worries and no hard feelings. All that we ask is that the item is returned in its original packaging and unused.